Defrost the fish fillets and shrimp in a mixing bowl over cold water, then dice the fish into small cubes and each shrimp into 2-3 pieces and put both into a mixing bowl and set aside. Squeeze the juice from the lemons, adding it to the fish and shrimp bowl. Cover and put into the refrigerator for 2 hours, allowing the acid in the juice to “cook” the fish and shrimp. In the meantime, finely dice the onion, tomatoes, Jalapeno (optional) and cilantro and place into another large mixing bowl. Once the fish and shrimp have been cooked, strain using a large colander and discard the used juice. 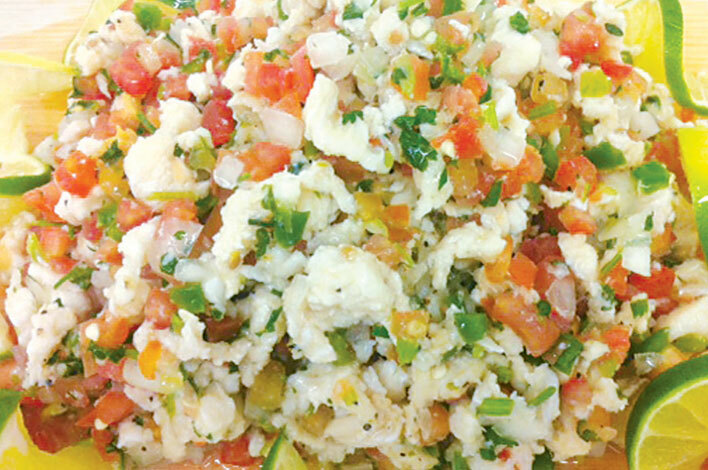 Add the strained fish and shrimp to the diced vegetables and mix well. Season to taste, with salt and pepper, garnish with fresh lemon halves and serve atop tostadas or with tortilla chips. Cook the rice per the package instructions, then refrigerate until firm, while you prep the rest of the ingredients. Beat the eggs and cook until scrambled in a small pan and store aside. Defrost the shrimp, then dice into cubes the pork, chicken and ham into small cubes and put all of them aside separately. Finely dice the brown onion, green onions and mince the garlic cloves, keeping all of them separate. In a large pan, heat the oil on a high setting; add the pork and chicken, then sauté until thoroughly cooked, about 3 minutes. Add the shrimp, while continuously stirring, until the shrimp turns pink. Add the chopped ham, garlic, and onion, then season with cumin, salt and black pepper, while continuing to sauté for 2 more minutes. With the heat still on high, add the cold rice and the scrambled eggs to the pan and mix together well, before adding the teriyaki and soy sauces and stir well, until the rice turns golden brown. Remove the pan from the heat, folding in the bean sprouts and green onions. 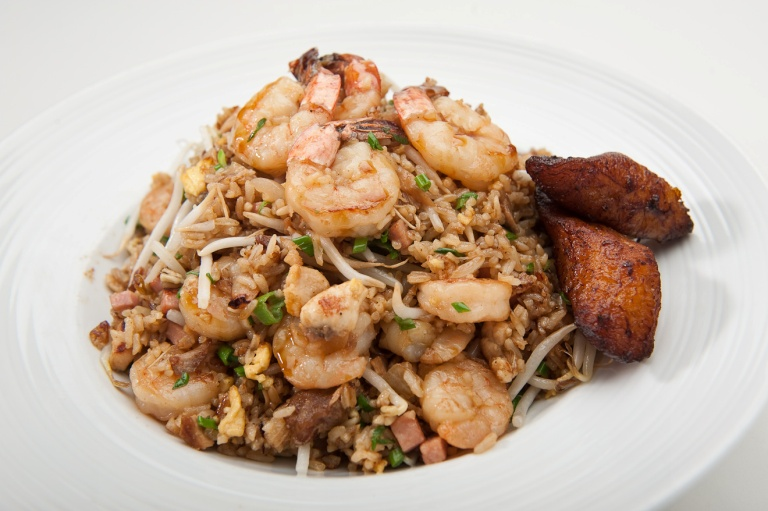 Before putting the fried rice on a serving platter, remove the shrimp from the pan and use them as a garnish on top of the rice. View our weekly ads online to find this week's savings!